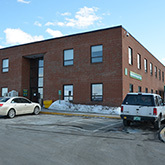 A Central Vermont Medical Center medical group practice providing comprehensive, compassionate and state-of-the-art treatment of arthritis, rheumatic diseases, and other bone, joint and muscle disorders. At Central Vermont Medical Center our Rheumatology medical group practice provides comprehensive, compassionate and state-of-the-art treatment of arthritis, rheumatic diseases, and other bone, joint and muscle disorders. We work closely with orthopaedic and hand surgeons, dermatologists, nephrologists, endocrinologists, physical and occupational therapists, and other providers to offer comprehensive coordinated patient care. We provide 24-hour physician coverage for emergencies. After regular office hours, call the office number, and you will be given instructions on what to do. In extreme emergencies, please call 911. When you arrive at the hospital, please identify yourself as our patient. Our office will call your pharmacy within 24 hours for all approved refills. You may have to come to the office to pick up a written prescription. Please call during regular office hours for prescription refills, unless it is an emergency. This Action Guide for Type 2 Diabetes Management is provided by The New England Comparative Effectiveness Public Advisory Council. This guide is intended to provide patients with a series of action steps that can be taken to improve the efficiency and quality of their care.